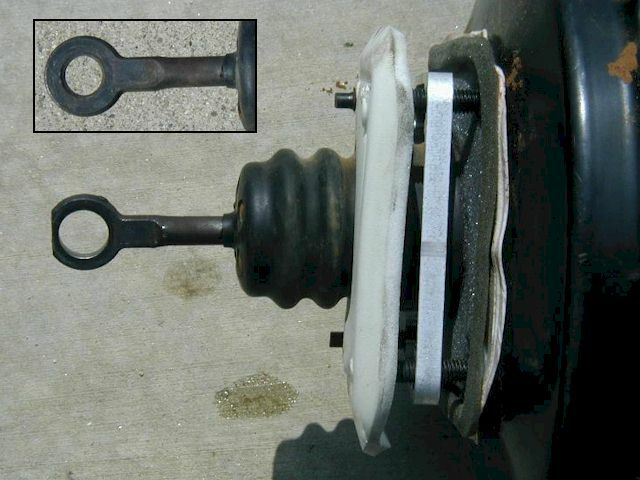 This series of articles documents how I converted my 1988 XJ Cherokee to use newer WJ Grand Cherokee steering and brake components. I would like to thank all those who have helped me with advice, time, parts, and fabrication skills. Your help is greatly appreciated. 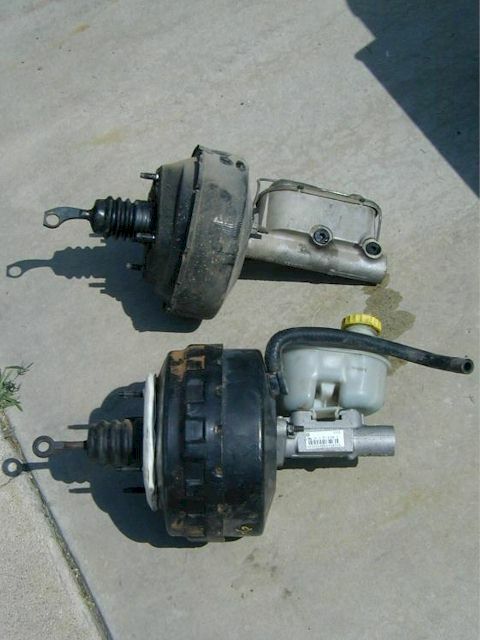 Compare the '88 XJ single diaphragm to the '00 WJ double diaphragm booster. 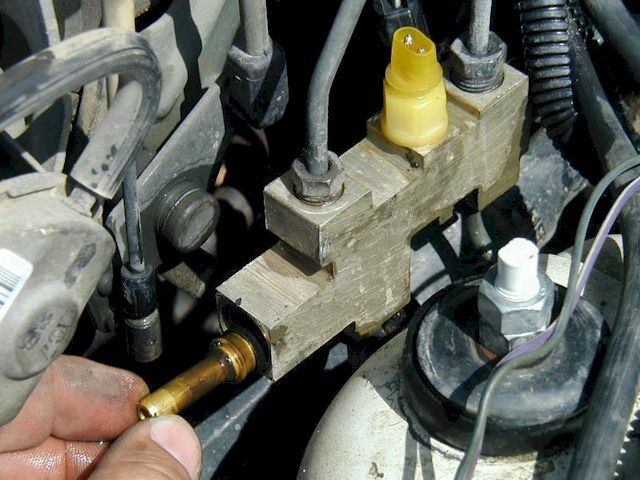 The WJ booster pedal rod must be modified to work with stock XJ parts. Removing the pressure hold off from inside the proportioning valve. I'll start out by correcting some misinformation about this conversion. 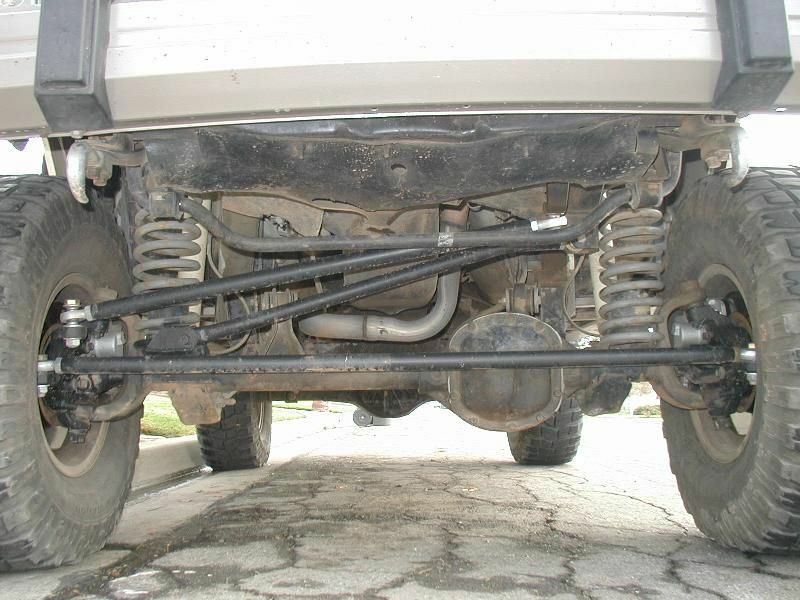 The WJ knuckles are approximately .25" shallower where the hub bolts in than those used on the YJ, TJ, XJ, or ZJ. The WJ hubs DO NOT correct this. 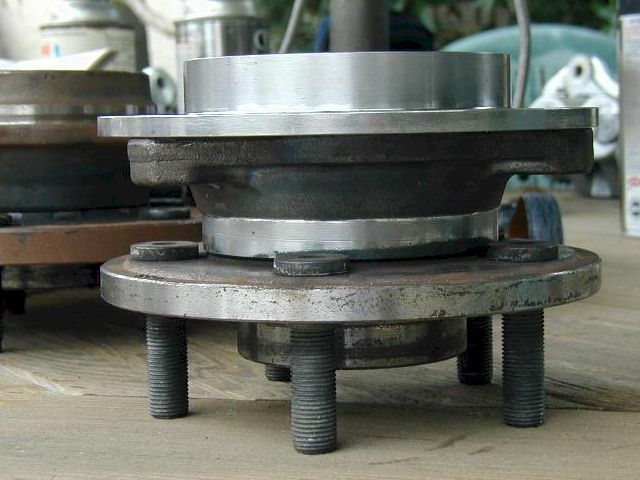 In all my measuring of hubs for all the listed models they all have one measurement in common and that is the distance between the axle shaft mounting surface (on the inside) to the hub mounting surface. So the result is that regardless of which hub you use IT IS NECESSARY to space the hub out to maintain the "FACTORY SPEC" of the U-joint to ball joint relationship. This is important to prevent bottoming of the axle shaft on the differential center pin and binding of the axle shaft U-joint on turns. There are several ways to do this conversion and a lot is going to depend on your individual setup. I will only be able to tell you what I have done and any reasons I did it this way. My 1988 XJ had marginal stock brakes to begin with, which only got worse after I added a big lift kit, larger tires, and a lot of weight. The most common thing that is done for these early XJs is to convert to the later style dual diaphragm brake booster and master cylinder. I also needed to improve the steering. The stock setup had worn out ball joints which were causing slop and I wanted to eliminate the toe change as the suspension cycled. Original calipers look pitiful compared to the huge double pistol WJ brakes. The custom hub spacer/adapter in place on top of the machined '01 TJ hub. The brake and steering conversion is nearly finished using WJ and TJ parts. Fortunately, the WJ had the answer to both of my problems. I bought some used 2000 WJ knuckles, a used '00 WJ power brake booster, a used '00 WJ master cylinder, and a pair of used 2001 TJ hubs. 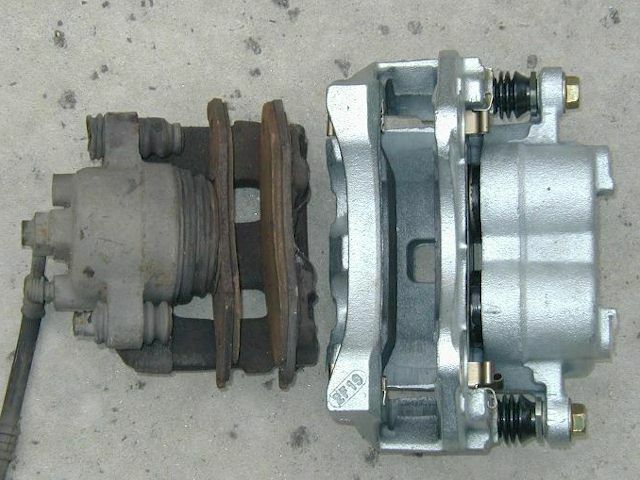 I also purchased new 2003 WJ loaded brake calipers. The conversion is written in three parts. The first is on modifying the WJ's dual diaphragm power brake booster and master cylinder, then installing them to fit. The second step is modifying my brake proportional valve so the front and rear circuits have equal pressure. (I added a new Currie 9" rear axle which has Explorer disc brakes. I would recommend adding an adjustable proportional valve for the rear after doing this modification which I will do at a later date.) The last step was to modify and install the '00 WJ knuckles, custom steering, and '03 WJ brakes. Editor's Note: Here ends the introduction to this complex, custom disc brake and high steering conversion. At least three parts will follow, one per month, until Mike's XJ has the coolest steering and most massive braking in any XJ on the trail.